There are few destinations that offer the convenience and value for money that Bali provides for Australian golf travellers. International Golf Specialists Bali packages and tours provide some of the best value golf holidays, all within easy reach of Australian capital cities. Bali provides a relaxing holiday on a diverse holiday island with amazing activities and attractions for all members of the family or travelling party. Non-golfing travellers will always find plenty of things to do at the shopping malls and markets, the beaches, restaurants and bars located in the towns and seaside resorts throughout Bali. Most importantly, of course, is the incredible golf on offer. The Greg Norman designed Nirwana Bali Golf Club provides a golfing experience unlike any other. Teeing off from between working rice paddies and over inlets running from the Indian Ocean, Nirwana’s conditioning and layout is among the best in the world and consistently finds the course ranked inside the World’s Top 100. With New Kuta Golf Club and Bali National Golf Club also favourites of our guests visiting Bali, International Golf Specialists can tailor your perfect golfing holiday. Whether you’re after a week of golf or a couple of days at a golf resort before or after a family holiday, International Golf Specialists will put together an itinerary that will take in everything that Bali golf has to offer. To arrange the perfect golf holiday to Bali or any other destination, speak to the experienced team at International Golf Specialists and begin planning your next “great golfing experience”. International Golf Specialists continues to go from strength to strength with new destinations and golf tours added to our list and we are set for a huge 2016. With escorted golf tours to Thailand, Vietnam and Tasmania throughout the year, there is a golf holiday or golf package to suit every golf traveller’s requirement. A brief chat with the IGS team can set the wheels in motion for you to begin planning the golf holiday you’ve always wanted and experience any of the amazing golf courses and accommodation options we offer throughout Australia, New Zealand, Asia, South Africa and Mauritius. For the war history buffs amongst our golfing guests, the Thailand golf tour in October will not only take in some of Thailand’s best courses such as Banyan Golf Club and Royal Ratchaburi, but includes visits to Hellfire Pass War Museum and The Bridge Over the River Kwai. This tour is hosted by IGS Managing Director Gary Allomes, and those lucky enough to take up one of the limited spaces will enjoy a truly memorable tour to a region with huge historical significance to Australians. IGS can custom your golf package and tour to suit golfers and non golfers alike. For more information on our Thailand tour or any of our other destinations, speak with the team at International Golf Specialists today. Day 4 of the Melville Glades golf tour at the Barnbougle Links Resort and the 3rd & final round of the Barnbougle Challenge has been run & won! Kyle Smith’s aggregate 101stableford points ensured he prevailed over Steve Verkerk on 99 points and Kim McVicar on 98 points. Dennis Warburton (95) and Andrew Smith (94) made up the top 5, making the best players in the group over the 3 rounds at the Dunes & Lost Farm. Kyle played scintillating golf off a 6 handicap in difficult, windy conditions and thoroughly deserved his Challenge trophy. We have now arrived into Barwon Heads tonight and settling in to the quaint Seahaven Village with a barbeque dinner arranged by host David Littleton. Chef John Rafala stepped up to the “bbq” plate, and cooked a magnificent spread for a hungry & thirsty group that travelled from Tasmania that afternoon. All are looking forward to playing the Beach course at Thirteenth Beach tomorrow … what, more golf!!! 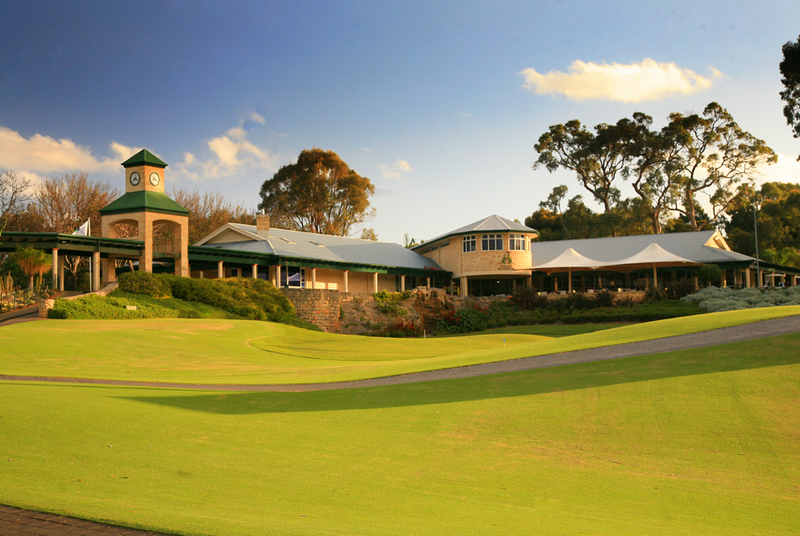 The 27 holes on offer at Perth’s Joondalup Resort provide some of the best golf you will find anywhere in Australia. With three different layouts, the Lakes, Quarry and Dune nines are aptly named and every one comes with their own challenges and unique aspects of this stunning layout. Conditioning of Joondalup makes the course a pleasure to play with the ground staff keeping every hole immaculate. Lush fairways and receptive, true running greens leave no one playing this Top 20 Australian layout with an excuse for a blemished scorecard. Fantastic on course accommodation, restaurants and facilities mean visitors may never need to leave the sanctuary of the resort which is located just 20 minutes from Perth city and ten minutes from the crystal waters of the Indian Ocean. An International Golf Specialists tour always recommends taking in Joondalup Resort. Our stay and play packages also offer options of great golf at the many other courses around Perth City and our local knowledge ensures our guests get the most out of their stay. To organise your great golfing experience at Joondalup Resort and take in everything else that this magical part of the world has to offer, speak to the team at International Golf Specialists today. Australia continues to grow as a destination for international visitors with an increase of almost 6 percent, in the last 12 months, taking the number of inbound tourists to over 7 million for the past year. As Western Australia’s number one golf travel operator, International Golf Specialists continue to develop new and exciting golf holidays for visitors to the Perth region. Our package tours and customised holidays provide the right golf experience for all groups we take care of and being local means we know what’s on and where for the times away from the course. The climate here is fantastic for not only enjoying the best golf Western Australia has to offer, but for all the other outdoor activities here as well. We are blessed with being able to access courses with variance and proximity unlike most other destinations around the world and then take in all of Western Australia’s other attractions. Visit Western Australia for a great golf experience and begin your most memorable of golfing holidays by speaking with the team at International Golf Specialists. My recent visit to Vietnam unfortunately didn’t include golf at any of the incredible courses on offer in Asia’s fastest growing golfing destination. What was apparent, however, was the value of having an itinerary prepared for me by people who knew our requirements and, most importantly, knew the destination. As golf tour operators, International Golf Specialists provide tailor made tours for people wanting to visit different parts of the world and experience everything the best golf courses and local attractions have to offer. In the case of a holiday where the clubs stayed at home (but not my wife), it was great to be able to rely on one of our Asian partners to produce the ideal tour for us. Our trip to Vietnam involved day trips to the Cu Chi tunnels – used by the Vietcong during the Indochina Wars, a journey along The Mekong Delta, and visiting areas where most tourists, looking at producing their own itinerary, would be unfortunate to miss out on. To experience this kind of tour was fun, educational and completely relaxing. Having everything prepared and booked meant there was no stress and produced one of the best getaways we have ever had. This is exactly the same experience IGS guests can expect when booking one of our golf holidays. Vietnam is an incredible country with so much to see and do. My next trip there will definitely include my golf sticks and maybe even my non-golfing better half. Chat to the guys at International Golf Specialists today are putting together your next golfing holiday and ensure you get the most out of your time away. The recent visit to Perth in August by the Williamson group reconfirmed that a great golfing experience is possible in Western Australia, even in our winter months. 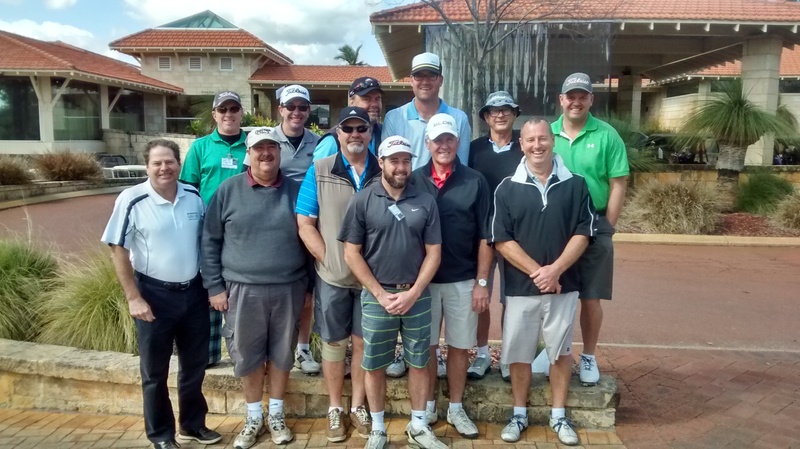 The group, all from Sydney’s north shore, and members of Mona Vale & Monash golf clubs had an exclusive, 6 night golf tour that included rounds at Joondalup Country Club, the Vines Resort & The Cut. These courses all rate in Australia’s top 100, with Joondalup Country Club rated in the top 10 public access courses in Australia. The group also played The Links, Kennedy Bay, a genuine links layout which plays to a 132 slope rating off the member’s tees. The difficulties of this superbly designed course lie in the large, rolling greens, tight fairways and small potbunkers, reminiscent of some of the famous British links courses. Group leader Leigh Williamson described The Links course as “exciting to the eye, but punishing for the wayward shot”. Perth based, International Golf Specialists are experts in arranging and hosting golf groups, and is the leading golf tour operator in the state. Managing Director, Gary Allomes said “we know our local courses better than anyone else and we have the best arrangements with the top golf clubs. Dealing with the local operator has real advantages such as preferential tee times & seasonal rates, which allow for great golfing all year round”. For more information about the amazing experiences to be enjoyed on West Australia’s golf courses, please contact International Golf Specialists to begin planning your next golfing holiday. We can tailor a golf package to suit your personal requirements. I have just returned from a site inspection trip of Southern & Eastern Vietnam. Vietnam has been on our list of golfing destinations for some time, as it is an emerging holiday destination for Australians, and most of the best golf courses have only been open for play in the last 5 years. Vietnam has a population in excess of 90 million, and everything moves at a frenetic pace. Starting in bustling Ho Chi Min City (population 10 million) I inspected a number of hotels and 6 golf courses over 4 days, and was very impressed with the quality and access of both. Long Thanh is the standout golf club, with 36 holes of beautifully conditioned & spectacular scenery designed by leading golf architect, Ronald Fream. The Hills course is the most challenging and is built on a plateau that offers amazing views over the course. The Lakes course is built around the Dong Nai River, with water in play on most holes. Nearer to Ho Chi Min City is the region’s oldest and most famous golf course, Vietnam Golf Club. Also 36 holes, the East course was designed by legendary professional golfer, Lee Trevino. Tight fairways and large rolling greens are a feature of both courses. 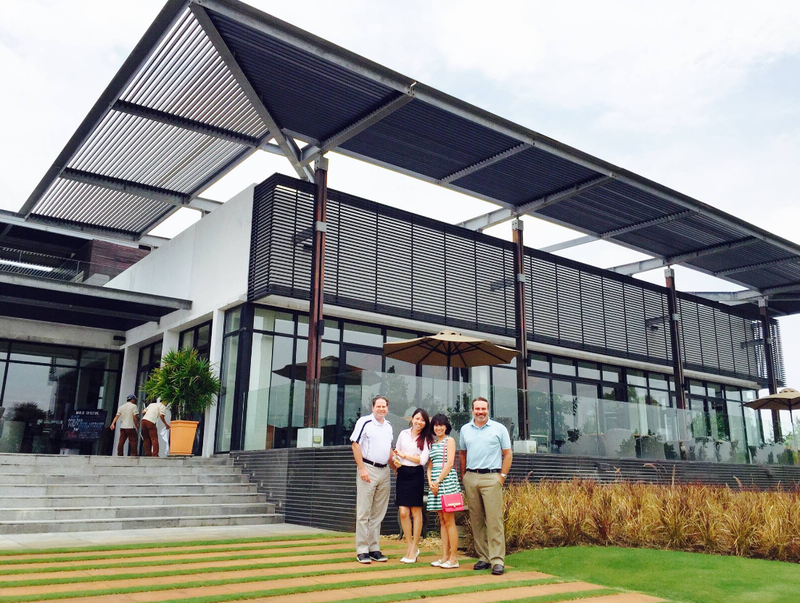 The newest golf course opened in 2014 … Long Bien Tan Son Nhat. Close to the city & and international airport, another fantastic 36 hole design with immaculate conditioning and fast running greens. Another added benefit is the bright lighting for night golf for those wanting to squeeze in even more golf. I also inspected the international golf courses of Da Nang, on the east coast of Vietnam, and the newly opened Greg Norman designed course, “The Bluffs” at Ho Tram Strip … 2 hour’s drive south of Ho Chi Min City. I will report on these courses another time! For more information about a great golfing experience in Vietnam, contact the team at International Golf Specialists for a tailored and memorable golf holiday. 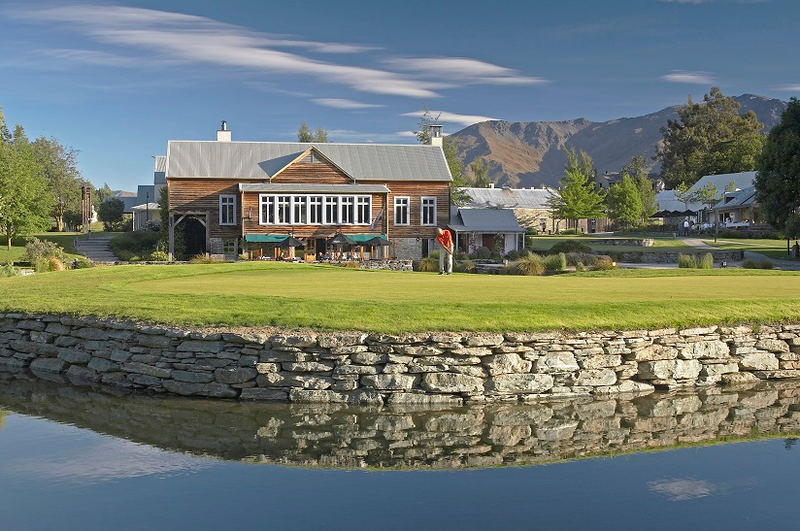 The International Golf Specialists Queenstown Tour in March 2016 is filling fast and is a great opportunity for groups and inpiduals to join our inaugural tour to New Zealand’s fastest growing golf destination. Sabah is a great golfing destination for Australians looking for an affordable holiday playing memorable golf courses and staying at luxury resorts within a perse Asian culture and tropical environment. 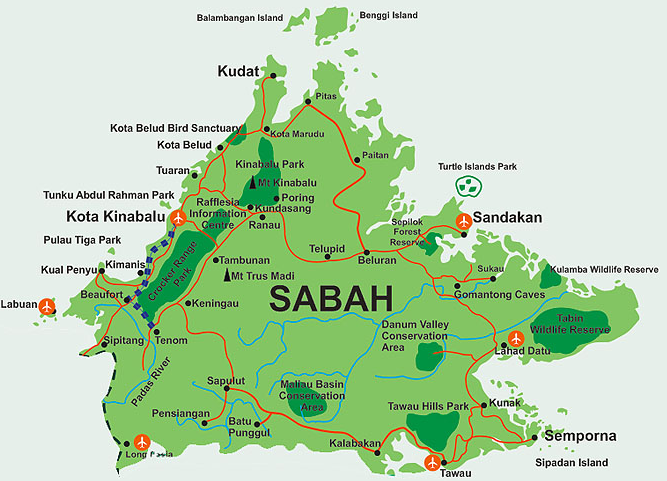 Sabah is a state of Malaysia on the island of Borneo. It has an equatorial climate with day temperatures ranging up to the mid-thirties Celsius and high humidity from the regular rainfall. The wet season is during the North East Monsoon from October to February and the drier season during the South West Monsoon from March to September and typical of tropical climates, it is clear skies in the morning with usually heavy rain in the afternoons. The City of Kota Kinabalu is the capital of Sabah. Located on the west coast and on the fringes of the South China Sea, KK is the bustling and colourful gateway to Sabah. You will find an international airport, world class hotels, many restaurants and cafes, shopping malls and business districts … and most importantly, many fine international standard golf courses. Sutera Harbour Golf Club is part of the tourist development of Sutera Harbour Resort, which includes two magnificent hotels, a Marina and Country Club and a 27-hole international golf course designed by leading Australian golf course designer Graham Marsh. This championship golf course is beautifully landscaped with undulating terrain and numerous waterways, providing a challenge for all levels of golfers. The Resort offers the only night golfing opportunity in East Malaysia and one of the largest facilities in Malaysia. The Golf Club is also the home to Golf Academy Borneo, one of the leading golf academies in Malaysia. An hour’s drive north of KK will take you to the impressive Shangri La Rasa Ria Resort. This beautiful five star resort is situated on its own private beach and is set amidst a nature reserve, which includes an Orang-utan sanctuary. Within the property of the resort is Dalit Bay Golf & Country Club. This superb 18-hole championship course designed by Australian Ted Parslow, provides the golfer with a stimulating playing experience, and was designed with the sensitivity to the natural beauty and the character of Sabah. Bordered by the Tambalang and Mengkabong rivers with a stunning vista of Mount Kinabalu in the distance, Dalit Bay is a prime wetland course where water comes into play at every hole. A short drive from Dalit Bay is the Nexus Golf Resort. Undulating across a series of small lakes and waterways, the Nexus Golf Resort captivates golfers with breathtaking views of Karambunai Beach, the South China Sea and Mount Kinabalu. Set against the backdrop of a 130-million year old tropical rainforest, the par 72, 18-hole international championship golf course was designed by renowned American golfing architect Ronald Fream. There are direct flights from Australia to KK with Malaysia Airlines, and I believe Sabah represents tremendous value if you are looking for a tropical and relaxed golf holiday experience. International Golf Specialists has great golfing rates and contacts in Sabah and we would be pleased to provide more information about this special golfing destination. We can provide golf packages that include accommodation, flights, transfers and of course the golf arrangements. Bali … the land of the Gods! One of the most popular tourist destinations in the world, Bali is a must visit destination for Australians wanting to enjoy a relaxing and culturally rich destination. The uniqueness of the Balinese culture is related to “Tri Hita Karana” or a tripartite concept that include the spiritual relationship between human and God, and their environment. For those who believe in “golfing gods” there is no better destination to enjoy great golf courses, warm, tropical weather with an emerging and internationally sophisticated dining experience. With the Greg Norman designed Nirwana Bali Golf Resort - ranked in the World’s Top 100 Courses - and the Nu Kuta Golf Course which has played host to the Indonesian Open, visitors can enjoy golf and completely unwind in this island paradise. There is however, a new golf course just launched that will enhance the local golfing scene and provide a unique golfing experience in Bali. Bali National Golf Club, now arguably the new flagship of Bali golf, following a complete redesign by Nelson, Haworth Golf Course Architects and reconstructed to international standards over the past two years. The course has opened to glowing reviews, and is set on land that has spectacular views over the majestic Gunung Agung and the Indian Ocean. The Club has excellent practice facilities, a well-appointed Pro shop and Locker rooms, a Golfer’s Restaurant & Terrace overlooking the 18th green, together with meeting rooms and lounge facilities. Bali National Golf Club is a memorable golfing experience, and you can access this and other high quality golf courses through an International Golf Specialists exclusive Bali golf package. 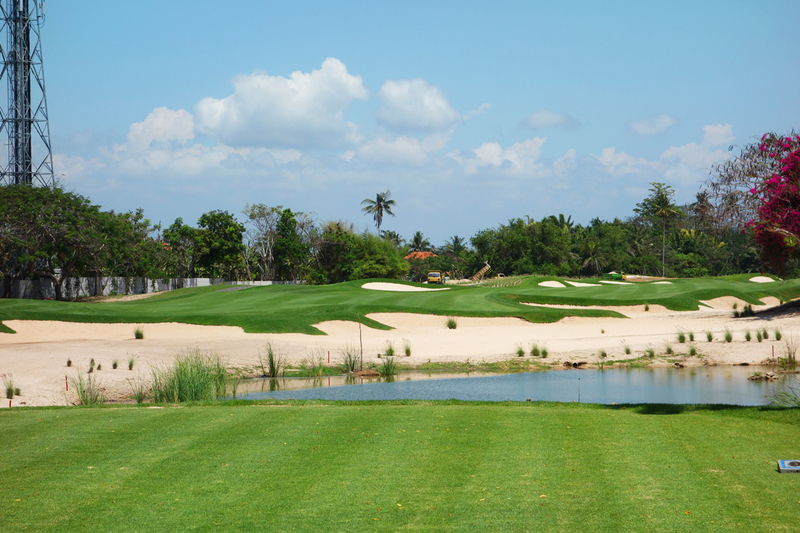 Contact us today for a great golfing experience in Bali! “AN INDIAN OCEAN GOLFING JEWEL”! TripAdviser has become in a very short period of years, the ultimate reference and research point for millions of travellers around the world. Whether it is for accommodation, travel tips or tourism attractions, Trip Adviser is the paramount cyber travel agent. A recent review of TripAdviser’s ratings of the leading golf courses in Mauritius shows what a high quality golfing experience can be had while visiting the “Indian Ocean’s Golfing Jewel”! International Golf Specialists are pioneering up-market golf tours to Mauritius for Australians looking for a unique golfing experience. There are 8 internationally acclaimed golf courses in Mauritius, with top golfer designers such as Gary Player, Ernie Els, Bernard Langer and Hugh Baaochi all offering first class golfing challenges and facilities. When coupled with year-round sunshine, great beaches, luxurious hotels and friendly service, Mauritius ensures a wonderful and relaxing holiday in the Indian Ocean. Of the golf courses that International Golf Specialists package for Mauritius golf, two (Anahita and Heritage) received the highest 5 star ranking, with Le Touessrok, The Links & Legends and Paradis all receiving 4 ½ star ratings. While the golfing facilities are superb, so too are the luxury resorts that are incorporated into the golfing complexes. A Mauritius golf holiday offers great value for visitors with golf included in the hotel tariff, as well as the unique concept of half board accommodation. Half board means guests receive both full buffet breakfast and dinner daily as part of the package rate. With Air Mauritius flying 3 times per week from Perth using modern Airbus wide body aircraft, it is a very enjoyable and comfortable experience getting to Mauritius from Australia, and that is where the fun really begins. International Golf Specialists has both 6 and 9 night golf packages to Mauritius. Come and join one of our exclusive golf tours listed on our website, or put your own group together, and we will package it according to your personal requirements. International Golf Specialists makes “great golfing experiences” happen! BALI … “a unique golfing experience”! Just a few hours flying from Australia, Bali’s beautiful climate, amazing beaches and friendly people provide fantastic ingredients for a memorable Bali golfing holiday. The new golf journey commences within a lush tropical forest set on hilly parkland and then through spectacularly landscaped coconut groves and finishes with holes beside the ocean. The closing holes of 17 & 18 are breathtaking and finish with a challenging island green. Northern Tasmania, with Launceston as its city base, has so much to offer keen golfers and tourists to this region of Tasmania. 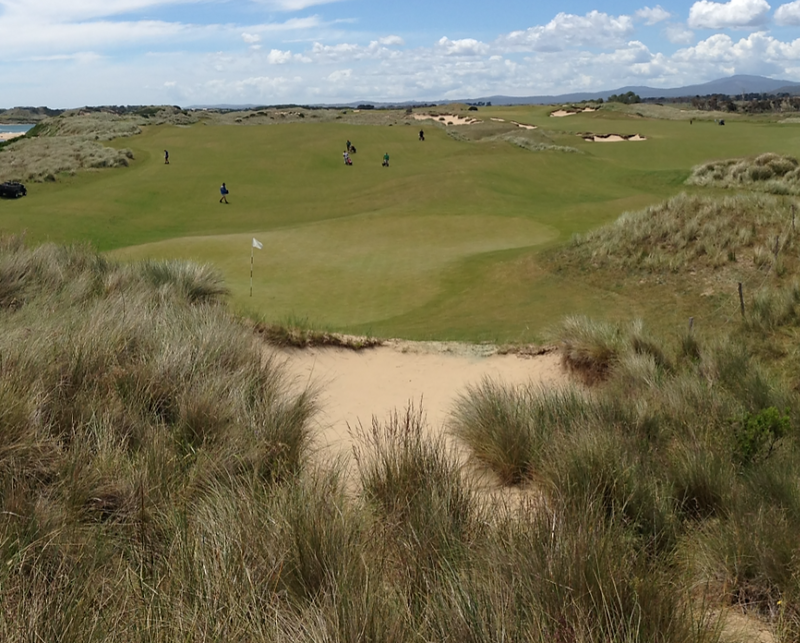 Firstly, the golf courses are special … especially Barnbougle ! Barnbougle Dunes and Barnbougle Lost Farm golf courses are locate in a remote part of northern Tasmania and are gaining international acclaim for the pure links golfing experience that is reminiscent of the great links courses of Great Britain and Northern Ireland. Although only 10 years old, these courses rank as the best public access courses in Australia, such is the quality of the layouts. International Golf Specialists have targeted these magnificent courses as an integral base for fully independent and packaged golf tours to Tasmania. As an official Australian golf tour operator, we can package these courses with affordable and comfortable accommodation on-course and also in Launceston. We can also arrange private transfers or hire car rentals. There are many other things to do when visiting Northern Tasmania. Food and wine figures prominently in Tasmanian tourism. 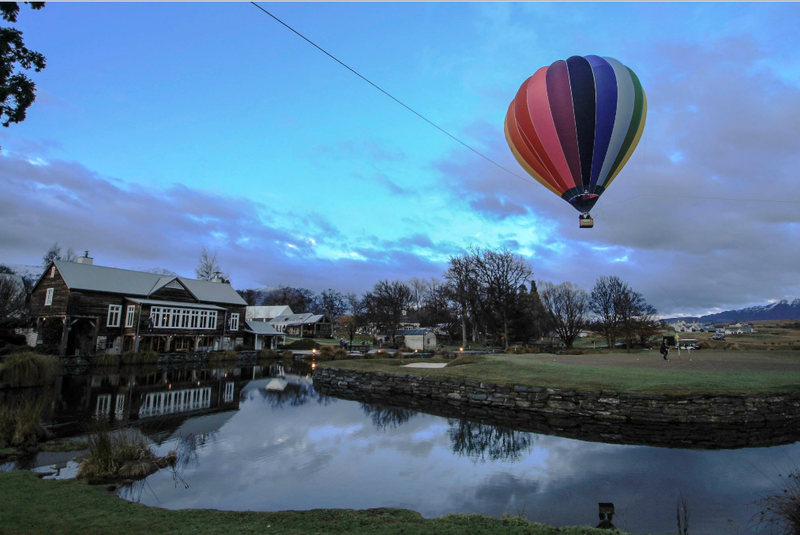 There is a world-renown wine precinct within the Tamar Valley, with wineries such as Pipers Brook, Janz and Ninth Island producing world standard wine, with top class restaurants and wine cellars. A wonderful wine touring trail has been developed and was rated as one of the “Top 10 Wine Routes in the World” by Essential Travel magazine (UK), June 2011. We can also include other golf courses of the region in a golfing package including Country Club Tasmania (Thompson / Wolveridge); Launceston Golf Club and Riverside Golf Club to make it a complete golf touring experience. While the summer months offer the best weather conditions for golf, Northern Tasmania has four distinct seasons, and can be enjoyed all year round. Contact International Golf Specialists and let us prepare a golfing itinerary that we guarantee will be both memorable and great value. 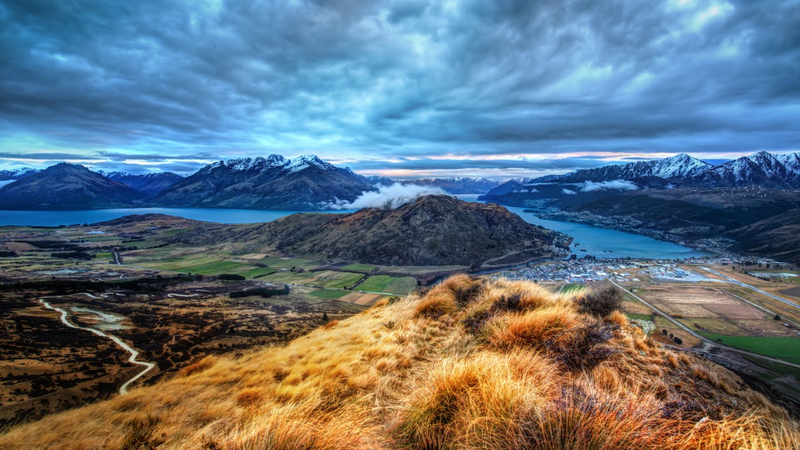 Have you ever visited somewhere and found that the time you had there just wasn’t long enough to take in all the things you really wanted to see and do? Or, were there things there that you weren’t aware of before you arrived and wished you had set aside some more time for? Before visiting somewhere for ourselves it is often hard to know what local activities and attractions we would most like to spend our time and money on. Speaking to people who have visited your next destination for themselves and who can make recommendations specifically for you and your travelling party makes it easier to decide on where, when and for how long. Local knowledge plays a huge part in the proper organisation and ultimate enjoyment of any holiday. International Golf Specialists have visited and have first-hand knowledge of all the countries in the destinations section View our golf destinations. This enables the team at IGS to tailor itineraries for both golfing and non-golfing travelling partners to our featured destinations. Personalised IGS tours take into consideration the needs of groups and individuals and our knowledge of each destination along with the best time of the year to visit and other aspects of the local area ensure a tailored golf holiday to remember. Climate, cultural events and school holidays can all have a major effect on whether or not a holiday is remembered for the right or the wrong reasons. Mauritius is on the calendar for the European PGA Seniors Golf Tour, with the 2013 season ending tournament, MCB Tour Championship being staged at the Constance Belle Mare Plage golf resort on the “golfing east coast” of Mauritius, 13-15 December. Many high profile professional golfers will be vying for this trophy, including past winners Tom Lehman and David Frost and joined by popular professionals like Sam Torrance, Peter Fowler and Terry Price. The tournament is being played at the challenging Legends course, one of two championship courses at the Constance Belle Mare Plage resort, the other being the “friendlier” Links course. Both the Legends and the Links courses are included in the itineraries of the exclusive golf tours prepared by International Golf Specialists for Australian golfers. We have escorted golf tours to Mauritius in May and September 2014, with both 7 day and 10 day itineraries. With wonderful sub tropical weather and high quality five star resorts, come along and join us for a wonderful and unique golfing holiday to Mauritius, and experience … a golfing paradise! I invite you to join me and other keen golfers to visit Mauritius next year and play their great courses … the only thing to consider is getting your golf game into shape before you touch down at Mauritius International Airport. 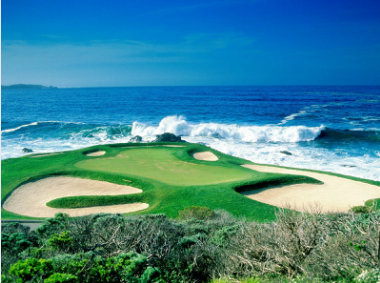 There are many companies that promote golf travel packages, however what makes one golf trip better than the next. There are a number of ingredients that when combined well, make for a memorable and successful golf travel experience. Firstly, outstanding golf courses in good playing conditions are a must. This is vital for a golfer to feel that they have received value for the effort and expense in travelling to that particular destination. All golf courses must undergo regular maintenance, however there is nothing more disappointing to arrive at a course you have been dreaming about for a long time, and find that the greens or fairways have just undergone a major coring. Also, the combination and blending of the number of golf games and other non-golf activities such as local touring, relaxation and other forms of recreation. While some of my friends disagree, I believe you can play TOO much golf when on holidays, especially in the tropics. Another important aspect is ensuring a cultural and educational experience as part of a golfing holiday experience. Golfing destinations like Thailand, Mauritius and China provide wonderful opportunities to experience diverse cultures, cuisines and geography not found in Australia. Many of our clients travel initially to these countries for the golf experience, but return again and again for the cultural exchanges and friendships formed. Finally, and I think most importantly, using an experienced golf tour operator for your golf travel package is critical for a trouble-free and enjoyable travel experience. Just using a travel agent, or doing your own research may not ensure the best golfing experience. Using local operators and guides is fundamental for a memorable holiday, and avoids unnecessary “hassles” and problems along the way. International Golf Specialists prides itself on being experts in the destinations we serve. We only use local travel operators selected for their experience and professionalism. Using local suppliers also ensures the best pricing, priority tee times and special inclusions that deliver extra value and assist with the overall experience. So, put International Golf Specialists to the test … we make “great golfing experiences” happen!